Serving Northwest Indiana residential and commercial properties in Lake County, Porter County, Merrillville, Crown Point, Lowell, Valparaiso, Chesterton, Portage, Dyer, Ogden Dunes and DeMotte. We can design, construct and service your Sunroom, Solarium, Conservatory, Patio Enclosure, Screened Room, Sun Porch, Room Addition, Spa Enclosure, Deck and Skylights. showroom models of our most popular sunrooms! A natural extension of our sunroom business is deck construction. 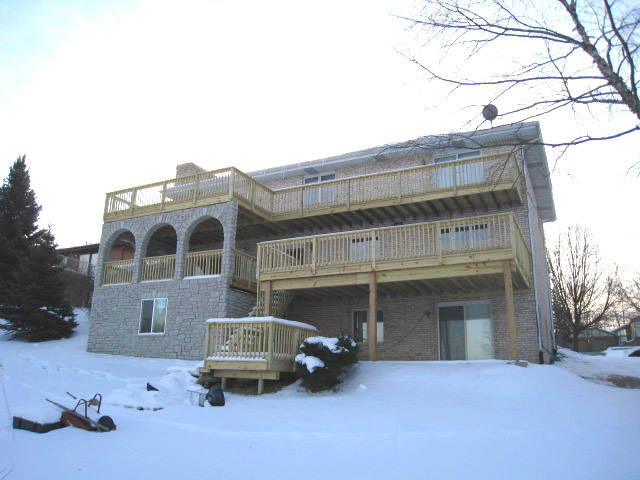 We have designed and built a variety of decks for our satisfied residential clients.